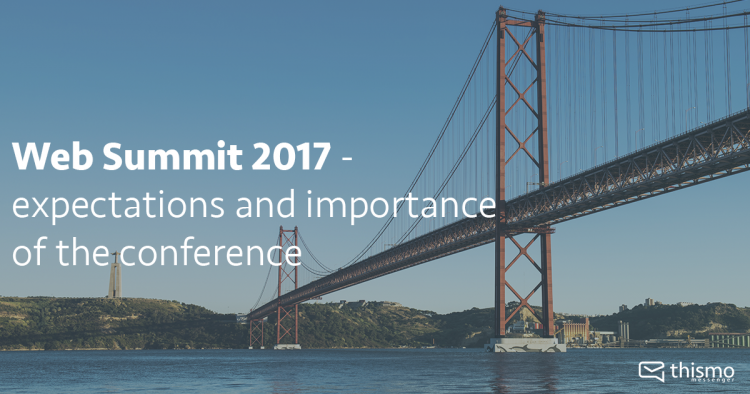 It’s the second year the conference takes place in Lisbon. We’re here with thismo messenger and Messagile to meet interesting people and share our vision of a better and personal connection between companies and their customers. Next to thismo messenger we also want to introduce our new concept called Messagile. The simple idea of Web Summit started in 2010 and by now it’s still simple but grown huge. Even in a digital world, the personal contact and connection of the technology community with all industries gets more important. Bringing together digital experts from the start-up and technology scene with experts from successful companies like amazon, Facebook, PayPal, Mercedes Benz etc. is a valuable intention of the Web Summit. With 1,200 speakers and over 60,000 attendees from more than 170 countries the Web Summit is one of the world’s largest conferences for technology and innovation.